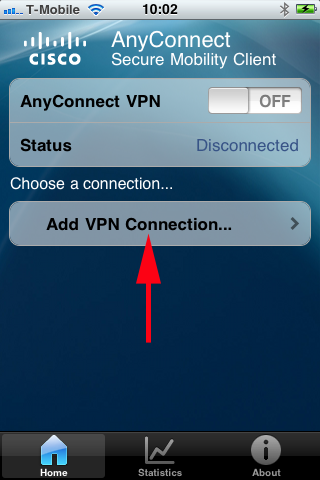 You have an Apple device and you would like to create a remote VPN connection to a Cisco device running AnyConnect. Be aware that in addition to your SSL VPN licences your Cisco ASA device also needs a "AnyConnect Mobile – ASA 5510" license. If not you will receive this error. 1. 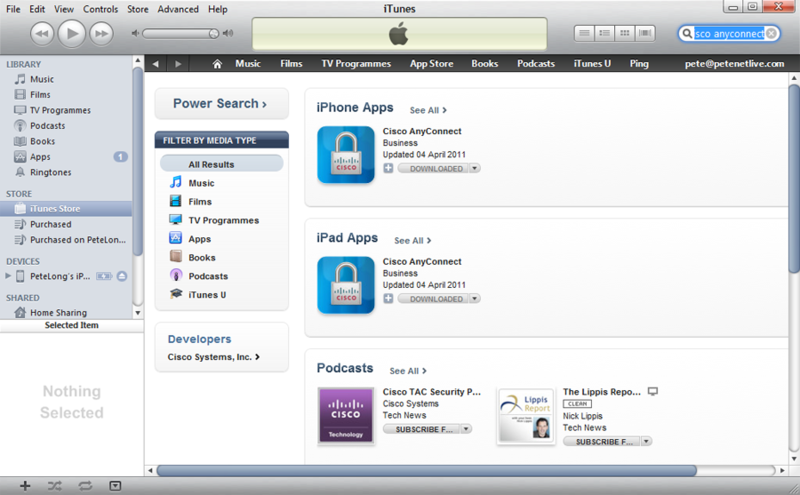 Firstly you need to download and install the Cisco AnyConnect client from iTunes. 2. 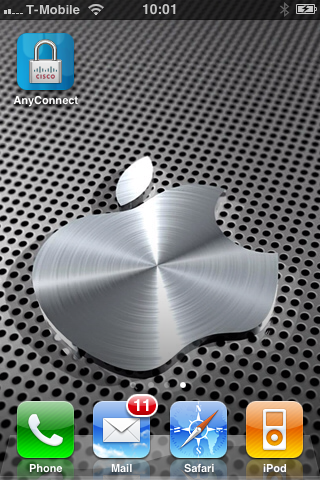 Once installed launch the AnyConnect client software. 3. 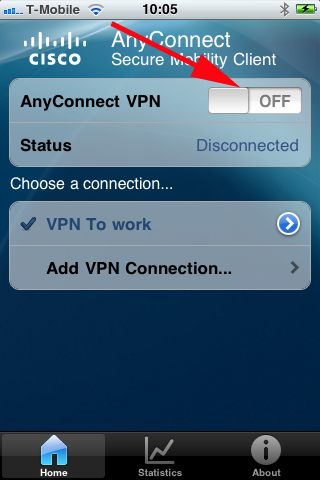 As this is the first time we have launched it we need to configure a connection, select "Add VPN Connection". 4. Give the connection a name, and enter either public IP of your Cisco Device (Or its public name) > Save. 5. Slide the button from Off to On. 6. 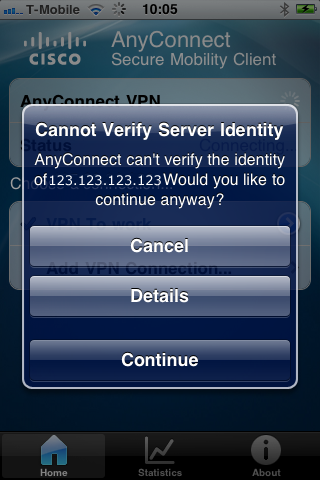 If you are using a "Self signed" certificate on the Cisco device you will see this warning, simply click continue. 7. 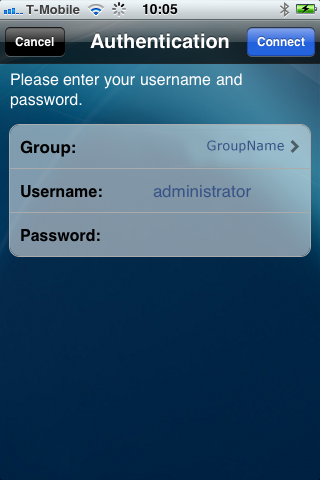 Depending on how your authentication is setup, supply your username and password > Connect. 8. All being well, the client should say connected. (If you get a licensing error see here). 9. 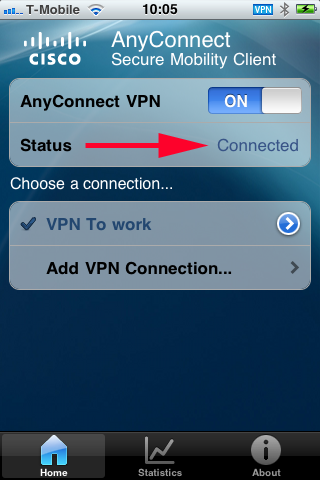 You are now connected to your corporate network, all the while you are connected you will see the VPN icon at the top of the screen.